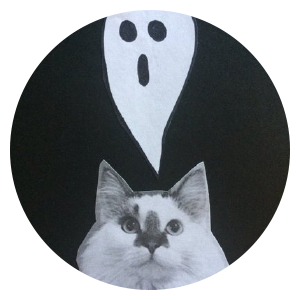 One year ago today, I wrote my first post for Notebook of Ghosts. People always ask where the name of the blog came from. I have always kept commonplace books about the occult and wanted to translate this very personal activity to a rather public blog. I am so glad I did. I have been introduced to so many online communities: the folklorists, the death positive advocates, and young adult horror writers. My writing has appeared on sites I admire: Dirge Magazine and Death and The Maiden. Twitter has also been supportive and welcoming. Thank you so much for a wonderful, spooky year. Before I start 2017 with a new post, I wanted to look back on some of my favorite posts! This blog, and the communities attached to it, will keep me going in the frightening political climate of America (to be frank). When I write, I hide; this year won’t be any different. I will savor the moments when I’m in my office with candles lit and a blank notebook page, ready for a new ghostly adventure.